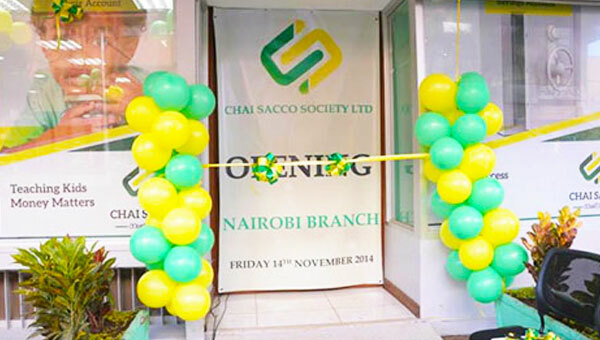 Small scale tea farmers’ Sacco, Chai, targets to raise Sh 500 million through a share capital drive to fund its expansion and extend loans to caution members when tea prices fall. It has opened up the mobilization to the public to expand shares held by each of its members from a minimum of 3,000. This will help mop up more cash that will be used to build 25 ultra-modern marketing offices in nine new branches and expand its loan book over the next five years. The Sacco seeks to grow it total asset base by an ambitious 400 percent to achieve its target of Sh 6 billion by 2018 from a total assets of Sh. 1.5 billion. “These contributions we hope to reach through increasing our membership numbers from current 9,000 to 40,000 over the period,” said Chai Sacco Chairman, Boniface Ayub. Its shares will be traded at Sh 20 per share, the executives said would be attractive to members and non-members. He said the drive would help quench increased appetite for internal loans by members whom a majority were recently hit by low sales on production glut that fetch low returns in the local and international markets. Total loans advanced to members grew from Sh 1.2 million by close of 2013 to Sh 1.7 billion this year. The Sacco solely serving Kenya Tea Development Authority (KTDA) workers hinted it is also eyeing top talents from the private sector to help it offer professional services. “We also intend to use the money to fund our Enterprises resource planning (ERP) and new IT systems to enable us offer efficient tailor-made products and services for our evolving clientele,” said Ayub. The cooperative movement contributes up to 45percent of Kenya’s total GDP and boost of 12million members who directly or indirectly derive their livelihood from the sector.